Research is not limited to the UNC Nutrition Research Institute in Kannapolis, North Carolina. 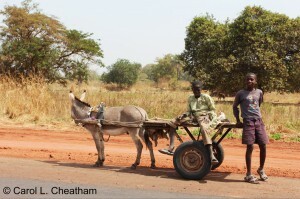 In January 2013, Dr. Cheatham traveled to Keneba, The Gambia with her collaborator, Dr. Steven Zeisel. The women of The Gambia have a diet that is deficient in choline, a nutrient that is very important for fetal brain development. 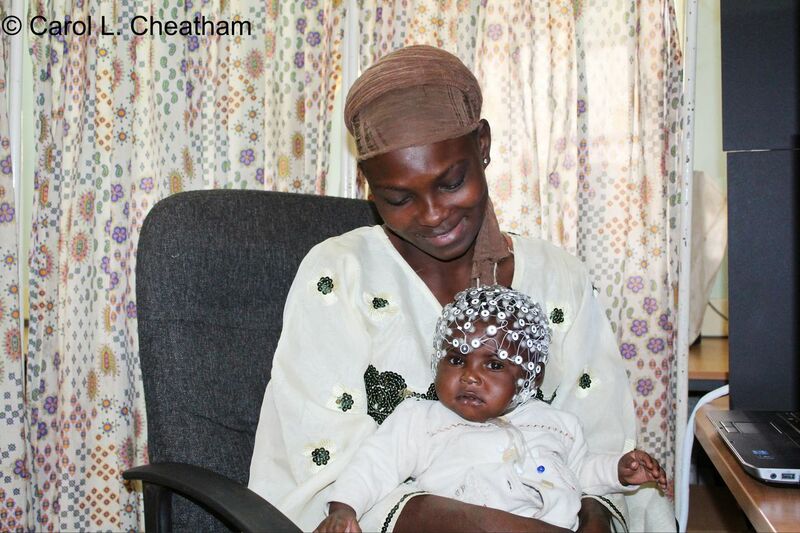 Dr. Cheatham used the EEG system with the children there. EGI, Inc. designed a solar-powered electrophysiology system specifically for this work. Below is what Dr. Cheatham wrote for the 2013 Cheatham Lab Newsletter describing her work around the world. 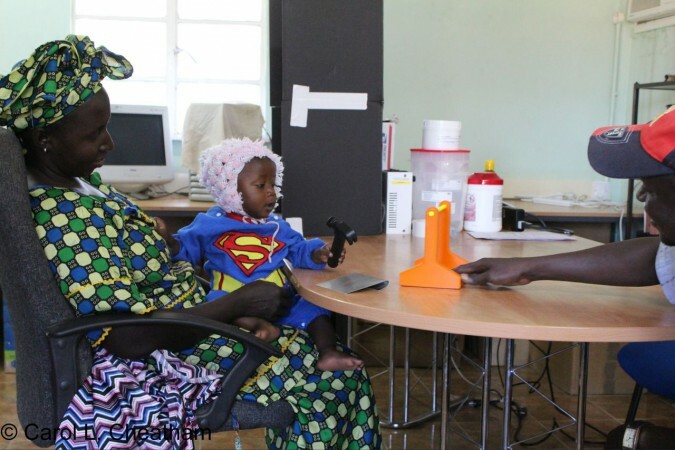 The Cheatham Lab received funding from the Gates Foundation to work at the Medical Research Council (UK) field station in Keneba with women and children from the West Kiang region of The Gambia, West Africa. In October 2013, I traveled to Manila in The Philippines to educate members and guests of the Philippine Society for Developmental and Behavioral Pediatrics about the current thinking in developmental psychology and the principles behind nutrition and brain development. The most striking part of that trip was the condition in which a large number of people were living. The slums were horrific – vast areas of makeshift shanties going on as far as the eye could see. In the traffic jams (and yes, the traffic was disorderly and well, just awful), children were walking between the cars holding infants and toddlers knocking on windows begging for food. I wanted to just grab them all up and take them to breakfast. I hope to be working there again soon doing something substantial to help these children. After the Philippines, I came home for a couple days and then, left for Africa, traveling nearly around the world in the span of a few days. I was in Keneba for 10 days in October checking out the facilities. In January, I returned and stayed for nearly a month collecting data. The pictures tell the story. My collaborator, Dr. Steven Zeisel and I have used the data collected to apply for more money to go back and do a larger study. The women of The Gambia have a diet that is deficient in choline, a nutrient that is very important for fetal brain development. When we go back, we will be supplementing pregnant women with choline and then, following the cognitive development of their babies. We are very excited about this line of work and look forward to giving you another report soon.